Mustaches are all the rage lately and while I'm not completely on the bandwagon, I have to say - these ornaments are too funny! They are really dirt simple but super fun. Print and cut out the mustache template. Cut out all the felt for the ornaments. You'll need two mustache pieces per one mustache ornament. 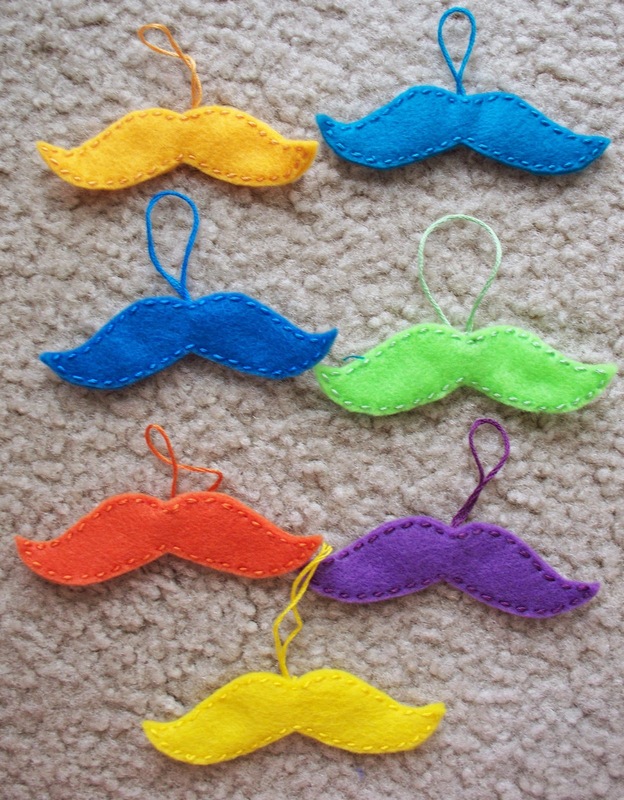 Using needle and thread, sew a loop on one mustache piece per ornament. Pin the two mustache pieces together and using a straight stitch, sew the two pieces together. I only used one mustache template to make my ornaments, but I love the idea of using all different kinds of mustache templates. There are many just by googling "mustache template" on google.com. Super Cute! I would totally hang these around my house any time of year!